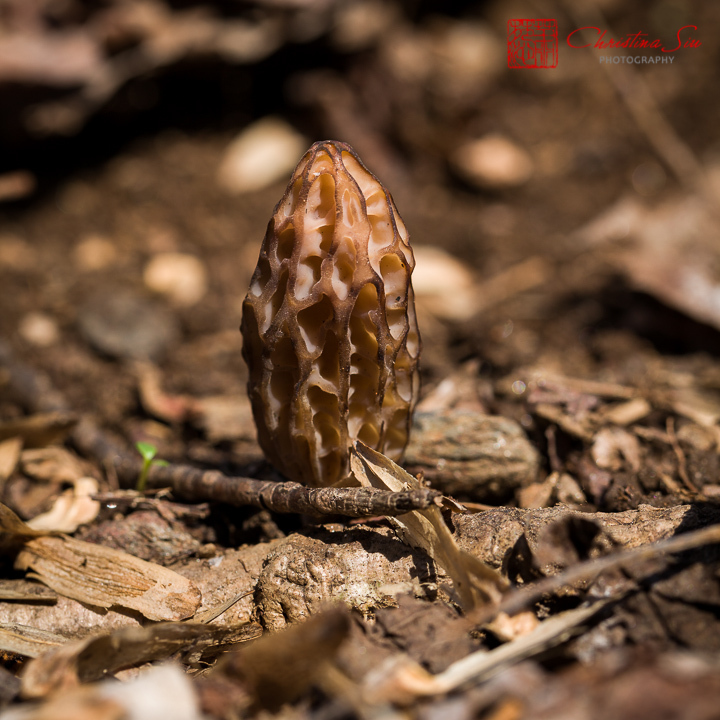 Also in spring, for a brief time is the hunt for the morel mushroom. I’ve gone hunting the past three weekends and have yet to find any. Maybe this weekend or the following one will yield better results. Here is an image of one from last year, one of the very first ones. 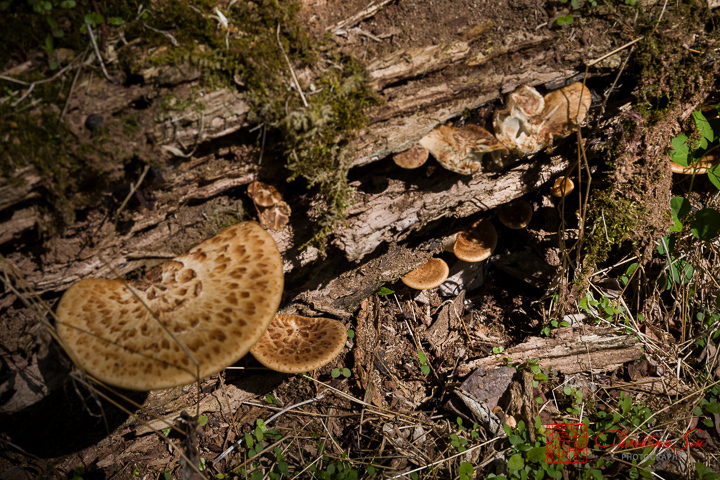 This past weekend, I did see lots of polyporus squamosus, otherwise known as Dryad’s saddle. Some people like it, some don’t. I have to keep in mind not to harvest large ones since they will be too chewy and tough. Smaller ones are better and more tender. Last year, I was deciding on how best to cook the ones I got (my first ones ever). There was one that was questionably too big or just on the border that it might not be good eats (borrowing a term from Alton Brown). I decided if it was, that cutting the mushroom into paper thin cuts might keep it from being chewy. I also wanted to do something different than just sautéing in butter. There was some leftover rosé wine that I needed to get rid of. I decided to make a creamed rosé sauce to cook the mushroom in and served over rice. I wasn’t sure if the wine would have been too sweet but I think it was dry enough that it didn’t taste sweet. The dish came out really nice and yummy. Last weekend, I cooked my find with dried rosemary and sage in a bit of olive oil, garlic, and a bit of butter at the end. Quite yummy too. Here’s an image taken from last weekend.